When Frances Hodgkins, our most celebrated artist, first left New Zealand in 1901, location became a key factor in her determination to succeed as an artist. In this engaging book, curator Mary Kisler follows in Hodgkins' footsteps through England, France, Italy, Morocco, Spain and Wales to discover the locations in which Hodgkins constantly pushed her exploration of modernism. Warm, insightful, fresh, expert and richly illustrated, this handsome book sheds new light on Hodgkins' life, art and social milieu. Mary Kisler is the Senior Curator, Mackelvie Collection, International Art at Auckland Art Gallery Toi o Tamaki. Mary earned her Master's degree in Art History and Italian at the University of Auckland in 1994. She has been a curator at the Auckland Art Gallery Toi o Tamaki since 1998, caring for a collection that spans from c1150 to 1950, a large part of which is European art but which also includes a small collection of Indian miniatures and Japanese ukiyo-e prints. In 2010 Godwit published her book Angels & Aristocrats: Early European Art in New Zealand Public Galleries. 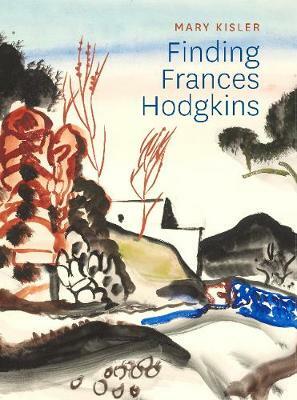 In 2019 the Auckland Art Gallery will publish her Hodgkins catalogue raisonnee to accompany a major Hodgkins exhibition.